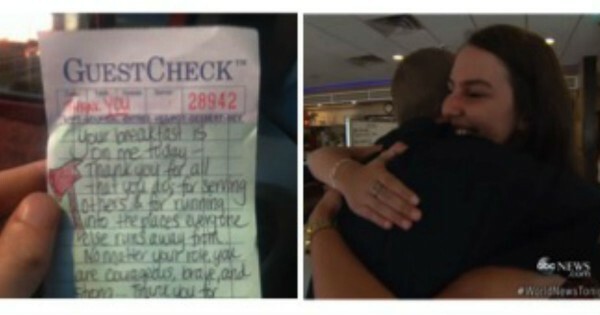 What This Waitress Leaves For These Tired Firefighters Is So Touching I Cried! 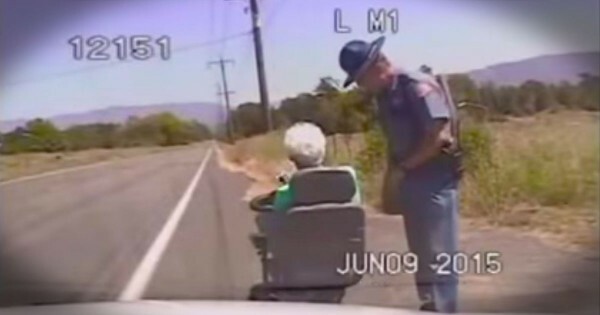 They Thought This Officer Was Pulling Over A Granny. The Truth Is So Much Better! Marriage is all about weathering both better AND worse, sickness AND health, and so on and so forth. 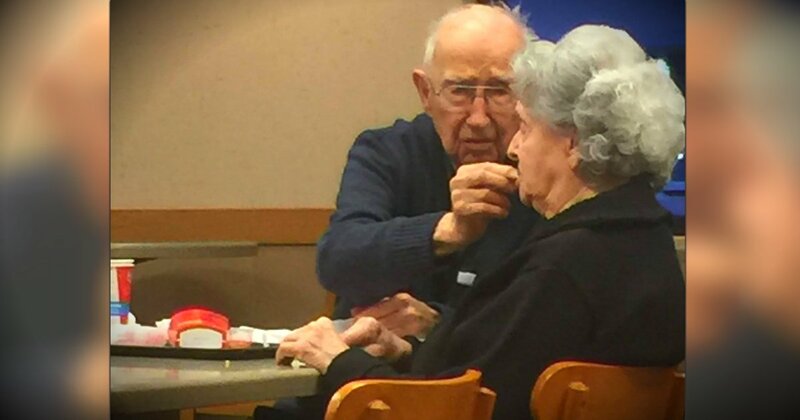 A bystander noticed an elderly man feeding his wife at a fast food restaurant, and the heartwarming scene stood out as one of those “better” moments. 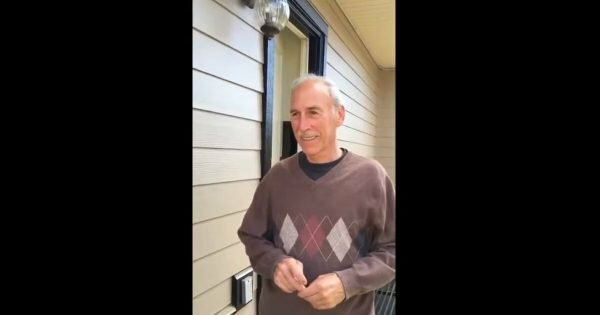 But the truth about this elderly couple’s date night demonstrates how true love is about accepting both the good and the bad, and loving right through it all! While grabbing a bite to eat at Wendy’s, a diner couldn’t help but notice an older couple out to eat, seemingly on a date night. “How sweet,” the stranger thought to themselves. That probably would have been the end of it. But then the observer saw the elderly man feeding his wife. “My whole life I’ve yearned for a love that strong,” the spectator thought. The tender moment was so sweet, the onlooker couldn’t resist commenting as such when the gentleman passed by to toss his trash. And that’s when they learned the heartbreakingly beautiful truth. The couple was, indeed, out on a date night. 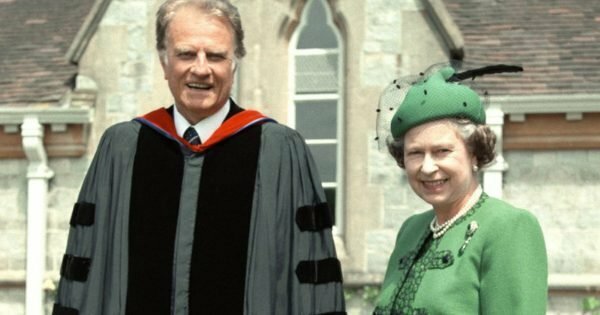 The gentleman was 96, and his lovely bride was 93. 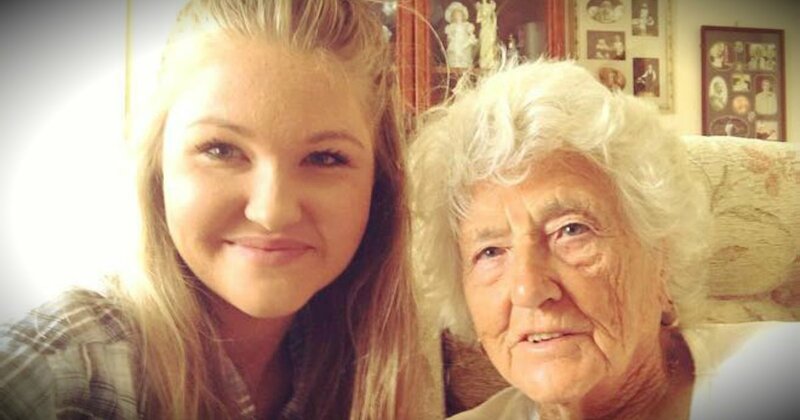 Sadly, however, she also suffered from Alzheimer’s, a terrible disease that robs the sufferer of their memory. But this is just what true, “in sickness and in health” love looks like. Watching his wife fade away had to be one of the hardest times in their marriage. And yet, here he was, making the most of it — celebrating with a date night where he tenderly fed his beloved bite by bite. The elderly man confessed that “if they made it,” a few more months would mark 75 years of marriage. Wow. . . just wow. “Getting all the way to the end of the line with the person you started out with is one of the most glorious things on the face of this earth. Could a couple be more blessed than to have that happen?” wrote the customer who witnessed this amazing couple firsthand. 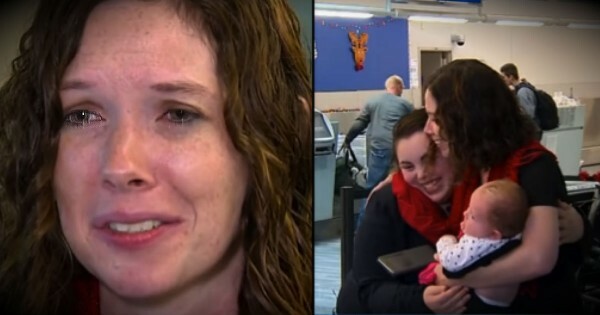 The awe-inspiring bond this couple shares just goes to show marriage is a gift from God. To think His love for us is infinitely stronger than the true love these two share is simply mind boggling! 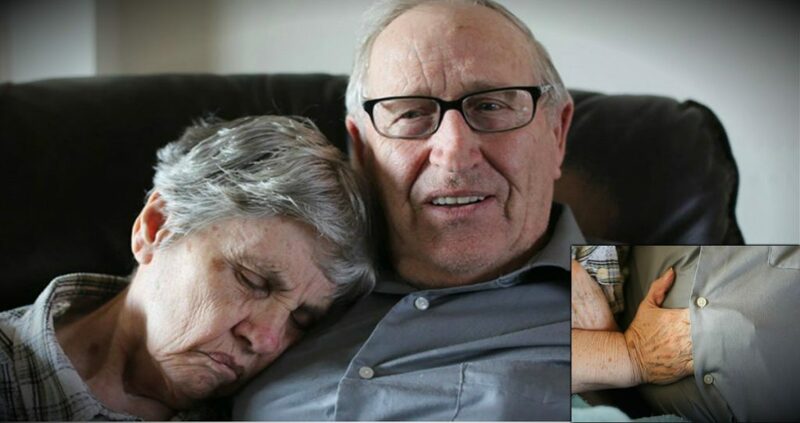 Husband explains the moving reason his wife with dementia slips her hand under his shirt.